Over the last few years, I have worked on a variety of patients with knee problems. Contrary to the general perception, not all knee problems and conditions occur in the adult or elder population. In fact, some conditions occur more frequently in children and teenagers. Some of these younger patients present with laxity or a loose knee, while others present with locking in the knee. Regardless of age or type of knee concern, a thorough history and physical examination is extremely important to conduct if we are to rule in and rule out conditions. Today, I will dive into the intricacies of the typical locked knee patient. I will answer the following questions. What makes up a knee joint? What is a knee lock? What causes a knee to lock? What treatment options are available for a locked knee? Let us learn about the anatomy of the knee joint. Our knee joint is made up of a variety of bones. You have the femur, tibia, and patella (kneecap). These bones together are involved in creating the knee joint and/or involved in knee function (mainly bending). In between the femur and tibia (see picture) there are two menisci. You have one meniscus located on the inside (medial meniscus) and one meniscus on the outside (lateral meniscus) of your knees. The menisci are made of tough cartilage that fits nicely between the bones. Surrounding the knee joint, you have layers of muscle. There are two groups of muscles at the knee. The four quadriceps muscles, on the front of the thigh work to straighten the knee from a bent position. The hamstring muscles, which run along the back of the thigh from the hip to just below the knee, help to bend the knee. You also have a number of ligaments that stabilize the knee joint. You have four ligaments that connect the femur to the tibia. 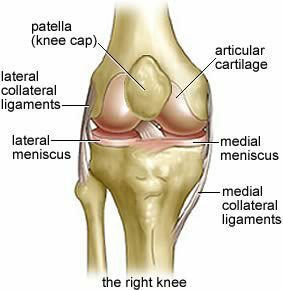 The medical collateral ligament (MCL), lateral collateral ligament (LCL), anterior cruciate ligament (ACL), and posterior cruiciate ligament (PCL). The menisci are important because they distribute weight across the knee joint. If you lack menisci or a meniscus, weight would be unevenly distributed across the joint, leading to uneven force distribution and early arthritis of the knee joint. 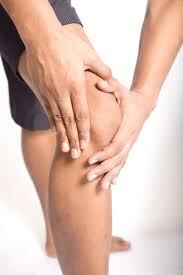 Another important function of the meniscus is to keep the knee joint stable. The menisci are crucial to the health of your knees! The menisci are nourished by small blood vessels along the outer surfaces. They do not receive any nourishment in the inner areas. As a result, this becomes a problem when an injury occurs within the inner areas. Without a proper blood supply, essential nutrients cannot reach the inner injured menisci for healing to occur. Thus, the menisci do not heal properly in the inside areas. The menisci can be easily injured by the force of rotating the knee while bearing weight. A partial or total tear of the meniscus may occur when a person quickly twists or rotates the upper leg while the foot stays still. If the tear is tiny, the meniscus stays connected to the front and back of the knee; if the tear is large, the meniscus may be left hanging by a thread of cartilage. The seriousness of the tear depends on its location and extent. A patient with a menisci injury will most commonly experience knee pain, swelling, tenderness, popping or clicking and/or limited motion or locking of the knee. Finally! Why does the knee lock? 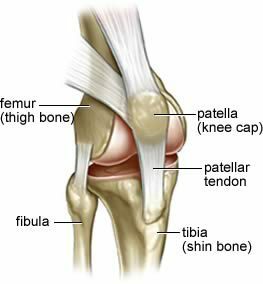 Severe pain and/or locking may occur if a fragment of the meniscus catches between the femur and tibia within then knee joint. Pain may go away while the locking may continue to persist due to the fragment of torn meniscus floating around the knee joint. Ok, my knee locks, now what? When presenting with a suspected meniscus injury such as a meniscus tear, which may cause a locking of the knee joint, it is important to conduct x-rays and/or MRI to verify the extent of the injury. Remember, x-rays are conducted to visualize bone, while MRI’s are conducted to visualize soft tissue structures such as the meniscus. Visualizing a torn meniscus on MRI does not mean a specific treatment is required. Treatment depends on several factors. Treatment of a meniscus tear or locked knee depends on several factors including: type of tear, response to conservative treatment and the activity level of the patient. Many menisci tears are treated non-surgically via pain control modalities (electrotherapy, ultrasound, laser therapy), soft tissue therapy, acupuncture and rehabilitation. In practice, interferential current and acupuncture helps to reduce pain. Furthermore, laser therapy and ultrasound therapy can assist in healing of some areas of the meniscus and the surrounding soft tissues. Soft tissue therapy can help with loosening tight quadriceps and hamstring muscles. Last, but not least, it is important to commence a rehabilitation and exercise program to strengthen muscles. These treatment methods are effective; however, everyone is unique and will respond differently to these conservative treatments. If conservative non-surgical treatment fails to alleviate pain and a patient continues to experience mechanical knee symptoms such as locking, inability to straighten and clicking/popping noises – he/she may consider surgical options. When surgery is necessary, a surgeon may discuss the following options to help improve mechanical symptoms. Either remove the torn meniscus (a partial meniscectomy) or perform a meniscus repair to place the edges of the meniscus together with sutures or tacks. Both are performed using a scope within the joint (arthroscopy). It is important to discuss these options with your family doctor and/or surgical specialist. Knee locking is not a diagnosis; it is a symptom of a meniscus injury. Not everyone who experiences a meniscus tear will experience the locking of their knee joint. The type of meniscus tear and position of the tear will decide whether locking, clicking, popping or an inability to straighten the leg occurs (mechanical knee symptoms). I hope you found this blog both informative and educational. Can Back Pain Refer to My Testicle? The answer is YES! This blog will help you to understand how this occurs. Males and females may experience referral of pain to their groin region due to an injury to QL. You have nerves that branch off the spinal cord at the level of the lumbar spine in close proximity to QL. You have the Ilioinguinal (L1), which supplies cutaneous distribution to the scrotum (labia for females) AND the Iliohypogastric (T12-L1), which supplies cutaneous innervation to the lower abdominal and groin region. It is important to note that you also have other nerves that branch off the spinal cord lower down. When the QL muscle gets taught, spastic and/or injured, it can affect the nerves that pass near it. If the nerves are inluenced, they can refer to their area of their innervation. Thus, sometimes a muscle strain in the back can create symptoms (such as a sharp shooting pain) in the testicle or labia. Various treatments can be used to heal a QL strain. First off, a combination of ICE and HEAT will assist in decreasing pain and relaxing the muscle. Moreover, electrotherapy, laser therapy, soft tissue therapy and chiropractic adjustments will help as well. Usually four to six treatments of passive treatment helps to decrease the pain and relax the QL muscle. It is recommended that following passive treatments, you focus on some active care (exercises and rehabilitation) to ensure the QL muscle is functioning properly. Part 1 of 2: Is it Carpal Tunnel or Is it Something Else? I have a number of patients that mention that they have carpal tunnel syndrome. When I ask them how they know, they can’t explain. After a history and physical assessment, I often recognize that their symptoms are in fact not related to carpal tunnel. Why the confusion? One thing that I have learned, while practicing, is that tingling in the forearm does not always equate to carpal tunnel syndrome. Ok, so what is it? Carpal tunnel syndrome, simply stated, is when a nerve in the forearm is squeezed at the wrist. More specifically, carpal tunnel syndrome occurs when the median nerve, which runs from the forearm into the hand, becomes compressed at the wrist. The median nerve controls sensations to the palm side of the thumb and fingers (half of the fourth finger and not the little finger). The median nerve also provides motion to small muscles in the hand. The carpal tunnel is a narrow, tight, passageway of ligament and bones at the base of the hand. This tight box is home to the median nerve as well as tendons that attach to muscle and allow our hands to move. Sometimes, the carpal tunnel soft tissues thicken and/or swell. As a result, the tunnel narrows and causes the median nerve to be compressed. This creates pain, weakness, and/or numbness in the hand, wrist and may radiate up the arm. Let us provide you with an analogy. Think of when a four lane road merges to become a two lane road. This creates a bottleneck in the road, which usually leads to heavier traffic due to the less room to manoeuvre. The more the road reduces, the less the passageway for cars to pass. Numerous reasons can cause the passageway to shrink (accidents like trauma/injury in a wrist, floods like swelling/inflammation in a wrist and construction like scar tissue/tissue rebuild/healing in a wrist) – the bottom line is that the same amount of cars still need to get through to the other side, but with obstacles or a bottleneck, it becomes harder and thus more issues (symptoms) can arise. This is what occurs when someone has carpal tunnel issues – that is – their passageway for the median nerve is being blocked or squeezed. Symptoms usually start slow but gradual. Usually, it starts with frequent burning, tingling, and/or numbness in the palm of the hand and the fingers. Some sufferers say their fingers feel swollen and weak, even though little or no swelling is apparent. The symptoms often first appear in one or both hands during the night. The person may wake up feeling the need to shake out the hand or wrist. As symptoms progress, patients complain that they feel tingling during the day. Continued carpal tunnel may result in decreased grip strength and muscles wasting at the base of the thumb. Furthermore, some people are unable to tell between hot and cold by touch. Carpal tunnel syndrome is often the result of a combination of factors. These factors are responsible for increasing pressure on the median nerve and tendons in the carpal tunnel. Most likely the disorder is due to genetics. Some individuals are born with a smaller carpal tunnel. Moreover, trauma or injury to the wrist that causes swelling, sprains or fractures, rheumatoid arthritis, mechanical joint issues at the wrist, stress, vibrating hand tools, fluid retention during pregnancy or menopause or the development of a cyst or tumor in the canal. Sometimes no cause(s) are identified. Women are more likely than men to develop carpal tunnel syndrome. Carpal tunnel syndrome usually occurs only in adults and not in children. There are a variety of tests that are used to produce symptoms of carpal tunnel syndrome. In the Tinel test, the practitioner taps on or presses the median nerve in the patient’s wrist. The test is positive when tingling in the fingers occurs. The Phalen test, or wrist-flexion, involves having the patient hold his or her forearms upright by pointing the fingers down and pressing the backs of the hands together (like a reverse prayer sign). The presence of carpal tunnel syndrome is suggested if one or more symptoms, such as tingling or increasing numbness, is felt in the fingers within 1 minute. Diagnosis is confirmed by electrodiagnostic tests such as nerve conduction studies. Often it is necessary to confirm the diagnosis by use of electrodiagnostic tests. In a nerve conduction study, electrodes are placed on the hand and wrist. Furthermore, ultrasound imaging can show impaired movement of the median nerve and Magnetic resonance imaging (MRI) can show the anatomy of the wrist. How is Carpal Tunnel Syndrome Conservatively Treated? Treatments for carpal tunnel syndrome should begin as early as possible. Underlying causes such as diabetes or arthritis should be treated first. I treat carpal tunnel syndrome by using a variety of chiropractic techniques electrotherapy, ultrasound, laser, cyrotherapy and exercises. Furthermore, soft tissue therapy techniques over the forearm, wrist and palm of the hand as well as acupuncture are beneficial. Patients usually feel relief with two to three treatments over the course of 4 to 6 weeks. Now that you know more about carpal tunnel syndrome…let me explain why people get it confused with other nerve issues located in the forearm. In part 2 of this blog, I will explore and explain other nerve conditions which create symptoms similar to carpal tunnel. What do you mean by glass ankle? From time to time, I have patients who replace a common medical diagnosis with a slang term or name. The first time I heard that my patient had “glass ankles, I remained uncertain as to what he meant. I asked him to explain further. He explained that a simple misstep, stumble or twist would lead to his ankles giving out. When this occurred, he explains that it is difficult for him to walk. Furthermore, his ankles become weak, swollen and movements are painful. Why compare the ankle to glass, you ask? As with glass, you need to be very careful not to tilt, drop or misplace it…if you do it will break into many pieces. With those with “glass ankles“, they must make sure to be delicate on their feet and avoid compromising positions. In Medical terms, the glass ankle refers to someone with ankle instability. Usually, this is caused by multiple ankle sprains. Within this blog, I will go into the anatomy of the ankle, who is predisposed to ankle injuries, signs and symptoms of a twisted ankle/sprain, and treatment methods used to assist with the healing of a twisted ankle or sprained ankle. What is a twisted ankle? A twisted ankle, ankle twist, rolled ankle, ankle sprain/strain, or someone with a glass ankle is one of the most frequent types of injury seen by health practitioners. The ankle joint, which connects the foot with the lower leg, is injured often when an unnatural twisting motion occurs to the foot when it is planted awkwardly. This usually occurs when the ground is uneven or when an unusual amount of force is applied to the joint. Such injuries happen during athletic events, while running or walking or even doing something as simple as getting out of bed. There are various ligaments in the ankle which can be twisted or sprained, however the most common is the one located on the outside of the ankle. This ligament is known as the ATFL (Anterior Talofibular Ligament). The ankle joint is composed of three bones, which include the tibia, fibula, and talus. The tibia is a large leg bone (on the inside of the leg) that bears most of the body’s weight. The fibula is the smaller leg bone (on the outside of the leg). Both the tibia and fibula attach to the talus (the top bone of the foot). The three bones together create the ankle joint. Tendons and ligaments cover these three bones. On the outside of the ankle you find the anterior talofibular liagament (ATFL). On the inside of the ankle is the deltoid ligament. 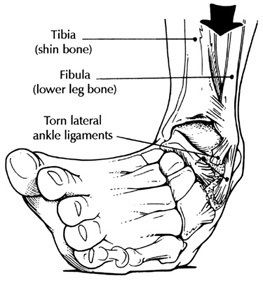 Most ankle sprains involve the outside ligament, the ATFL. What are the signs and symptoms of a twisted ankle? Ankle sprain symptoms may vary from being very mild to severe. Usually a sudden trauma, twisting or turning over of the ankle will happen. The patient will experience pain on the outside of the ankle. Swelling or bruising may be present but not always. Ankle sprains are graded 1, 2, or 3 depending on severity. Furthermore, the patient may pain, redness, warmth, trouble walking & stiffness in the ankle. Some stretching or perhaps minor tearing of the lateral ankle ligaments. There may be mild swelling around the bone on the outside of the ankle. Moderate tearing of the ligament fibres. Some instability of the joint. Moderate to severe pain and difficulty walking. Swelling and stiffness in the ankle joint. Total rupture of a ligament. Severe pain initially followed later by no pain. What treatments are available for a twisted ankle? Despite common medical practice, treatment of ankle sprains should not be limited to rest and ice. Modalities such as ultrasound, interferential current, TENS, Graston Therapy, Laser Therapy and soft tissue therapy can and should be used to assist in the healing of the sprained ligaments in the ankle. Furthermore, acute ankle injuries need to be addressed immediately, both passively (with modalities and soft tissue work) and actively (exercises and rehabilitation). If treatment does not commence immediately, you will probably experience stiffness, tightness and instability in the ankle joint at some point in the future. Moreover, ankle instability will most likely lead to more ankle sprains. Ultimately, more ankle sprains may dub you – the person with the glass ankles. I hope you found this blog informative. If you have any questions, please feel free to comment. Can Acupuncture help with Menopause? If you are reading this post, you probably know of someone suffering with menopausal symptoms or perhaps you may be going through menopausal symptoms yourself. Menopause does not have to be a terrible and awful time of your life. It does not have to include constant hot flashes, night sweats, and inconsistent hormonal mood swings. 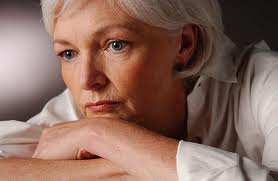 Menopause is a transitional period which marks the end of ovulation for women. This change can last months to years and symptoms range from mild to severe due to decreasing estrogen. Menopausal symptoms include hot flashes, night sweats, insomnia, fatigue, mood swings, memory loss, vaginal dryness, headaches, joint pain, and weight gain. How do I treat Menopause? Recently, there is much debate on the benefits of Hormone Replacement Therapy (HRT). HRT usually starts when the first symptoms of menopause appear. While HRT may help to get rid of hot flashes and prevent bone loss (osteoporosis), they have been associated with increasing the risk of breast, ovarian and uterine cancer. HRT isn’t the only answer to menopause. Many women are exploring alternative options such as acupuncture. Herbal Medicine and Traditional Chinese Medicine (such as Acupuncture) have been used for women’s health can be found in early medical literature dating back to 3AD. How Acupuncture work for Menopause? The basic foundation for Acupuncture is that there is a energy flowing through the body, which is termed Qi (pronounced chee). This specific energy flows through the body on channels known as meridians that connect all of our major organs. According to Traditional Chinese Medicine, illness/disease/negative changes in the body such as menopause arises when the flow of Qi in the meridians becomes unbalanced or disturbed. 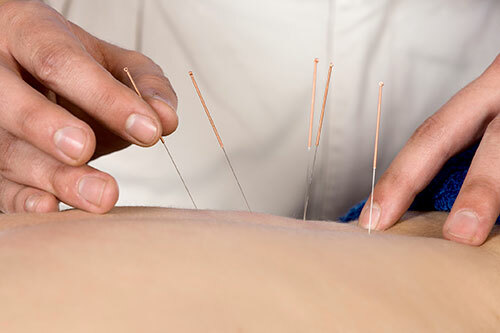 Acupuncture may help to reduce menopausal symptoms. It may help to reduce stress, hot flashes, mood swings and irritability. Acupuncture stimulates specific points located on or below the surface of the skin. These specific points have the ability to alter various biomechanical and physiological conditions in order to achieve the desired effect. During the acupuncture treatment, very thin needles (no medication in the needle) are placed in specific spots located on your arms, back, legs and feet. The number of needles utilized, length of treatment, number of treatments and frequency of treatments will vary case to case. Typical, an acupuncture treatment lasts at least 30 minutes. Patients are recommended to attend treatments at least 2-3 times per week. This piece of literature comes directly from the Ontario Chiropractic Association website. This is an excellent synopsis of what chiropractic is all about. One of the largest primary-contact health care professions in Ontario, chiropractic is a non-invasive, hands-on health care discipline that focuses on the neuromusculoskeletal system. Chiropractors practice a manual approach, providing diagnosis, treatment and preventive care for disorders related to the spine, pelvis, nervous system and joints. Chiropractors use a combination of treatments, all of which are predicated on the specific needs of the individual patient. After taking a complete history and diagnosing a patient, a chiropractor can develop and carry out a comprehensive treatment/management plan, recommend therapeutic exercise and other non-invasive therapies, and provide nutritional, dietary and lifestyle counselling. For many conditions, such as lower back pain, chiropractic care is frequently the primary method of treatment. Where other conditions exist, chiropractic care may complement or support medical treatment by relieving the neuromusculoskeletal aspects associated with the condition. Chiropractic care may also be used to provide symptomatic relief for patients with chronic conditions. According to patient surveys, by treating the neuromusculoskeletal elements of such disorders, chiropractic treatment has been shown to improve the general well-being of the patient.